Tow Truck Insurance San Antonio – Great Deals Seven Days per Week! When you are looking for great deals and same day coverage on Tow Truck Insurance in San Antonio Texas and the surrounding areas, 1-800-998-0662 is the only number you need! Call us Monday through Friday 9 AM to 5 PM CST to speak with one of our licensed agents. If you find our website on the weekends, have no fear, we are here, seven days per week to provide quotes, issue policies, and if you are currently insured with our company to service your needs. Tow Truck Insurance San Antonio – We Know Tow! Pathway Insurance specializes in helping Garages, Car Dealerships, and Towing Service Companies find the best options on Tow Truck Insurance in Texas, Minnesota, Florida, Georgia, Tennessee, Kentucky, Ohio, Indiana, Michigan, and Maryland. 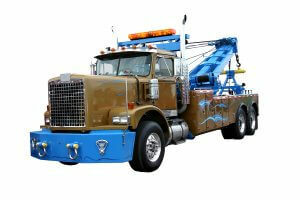 We know Tow and that is why we should be your only choice when you are shopping for Tow Truck Insurance in Texas. Because of the success of our online program our operating states continues to grow. Just like any type of insurance you buy it is important for you to become familiar with the type of insurance you need to protect your business financially and the underwriting rules insurers use. Why is it important to come to learn the underwriting standards of Texas Tow Truck Insurance Companies? Underwriting rules that Texas Tow Truck Insurance Companies use serve to protect the insurance company from companies that are haphazard or careless in running their business. For instance if an insurer paid out one dollar in claims for every dollar they collected from each of their policyholders they would soon go out of business! Money the insurance company’s pay for claims is only one factor in the general overhead for any insurance company. Insurance companies are not unlike any other for-profit business, they want to make money. If an insurance company makes it a practice to provide policies for businesses that are haphazard or careless and are constantly filing claims, this is unprofitable business for the insurance company and they will quickly cancel this policyholder’s account. A Tow Company, Service Garage, or Car Dealership that files a number of claims or violates what is acceptable from an underwriting standpoint may find itself in a high risk pool or unable to find affordable Texas Tow Truck Insurance. So it is important for you as the customer to understand what is and is not acceptable to the insurance company. If a towing Service Company develops a poor maintenance record on owned trucks, hiring bad drivers, and filing claims on a regular basis… This will only cost you in the long run. Let’s review a real scenario to find out why that is true. In a previous article we learned about Miles Goldberg a long term employee working at Jim’s Towing & Repair Shop. Miles recently purchased Jim’s Towing & Repair Shop from the owner Jim Gareth and then found himself in a huge bind only within weeks of taking over. It’s important to learn some background information about this situation that unfortunately Miles was not aware of. If you are in a situation where you are presented an opportunity to buy out a competitor, make sure you complete proper due diligence prior to signing on the dotted line. Jim Gareth, the sole owner of Jim’s Towing & Repair Shop for the last 3 months has encouraged Miles to think about buying his company. Nearly every day Jim mentions to Jim alone that he is interested in retiring and moving someplace cooler. Jim in realty had ulterior motives for selling his business that only became known later. Jim knew that Miles’s wife had a great job (so they had money) and knew it was always Miles’s dream to own his own shop because he would eavesdrop on his employee’s conversation using hidden video surveillance with audio he installed to catch employees cheating him, so Jim knew Miles may take the bait if he used the right lure. Jim’s Towing & Repair Shop offers 24 hour towing service and minor mechanical repairs that include oil and transmission fluid changes with 8 total employees including Jim. Tow Truck Insurance San Antonio – Let the Buyer Beware! Over a period of a few months Jim would tell Miles in private he would make him an unbelievable deal if he bought him out so he could retire. What Jim didn’t tell Miles is that he had a deadline in which he needed to sell his business. Miles was staring to listen and asking Jim questions about the price and it actually seemed like a good deal to Miles because Jim’s Towing & Repair Shop already had a good customer base plus contracts with 3 different counties and most of the local law enforcement agencies for recovery operations and the normal rotation schedule for accidents. On a Friday afternoon Jim showed Miles the books because he had overheard him mentioning to his coworker Teddy, on the video surveillance system that he probably within 6 months or so be coming into a sizeable inheritance from his Dad who was dying from cancer. Miles over dinner with his wife of 23 years on their anniversary had an in-depth conversation with his wife Emily to see what she thought. In our next post we will consider how the conversation went. Tow Truck Insurance San Antonio — Call Pathway Today! We have programs available for new startup operations plus huge discounts for well-established companies with a good claims record over the last five years.